Classes are 55 minutes in length and include a warm-up, stretching, drills and skill development. Each class has pre-requisites that should be met prior to enrolling in a class. However, tumbling Level 1A has no pre-requisites since it is introduction to tumbling. Classes are $79.99 a month, plus hst. You can enroll at any time and withdraw when you like. We require a withdrawal notice via email. Payments will be made on the 20th of each month prior to the next month. Any withdrawals after the 15th will remain in effect until the last of the following month. Cancellations before the 15th of any month will be cancelled immediately and membership will end on the last day of the current month. 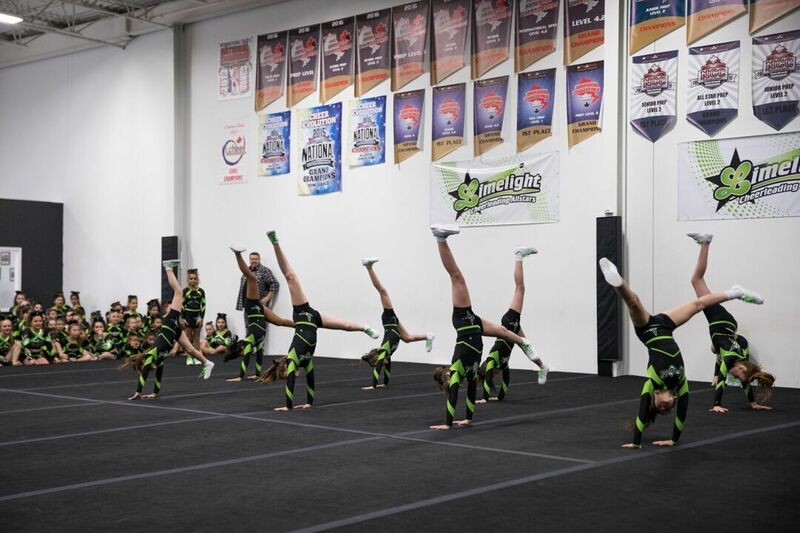 Current team members, enrolled in a team, will receive a 25% discount on tumbling fees. Allstr Prep – applicable to athletes participating in one of our prep teams. Competitive – applicable to athletes participating in one of our competitive teams. Our summer class schedule is here.